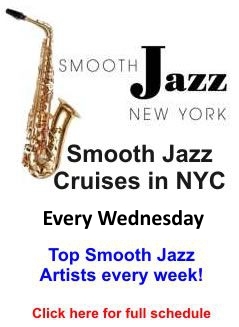 ← NYC Smooth Jazz Gem Alert! Smooth Jazz has many female stars, and no one should underestimate their talent to jam with the best of them or their ability to wow an audience. And ranking way at the top of the Smooth Jazz charts, Jessy J sits comfortably. She is a superstar by every definition. With her sizzling mix of hot beats, Latin and samba rhythms, instantly captivating melodies, and model looks, this Mexican American saxophonist/singer proved quite the sensation with her debut CD Tequila Moon. This first effort earned her such accolades as Radio and Records “Debut Artist of The Year” and contemporary jazz song of the year by R&R and Billboard for the title track, which stayed perched at #1 for an incredible eight weeks. Adding to the multi-talented artist´s rising star was her cover story in Jazziz Magazine. Her third CD comes out this September, titled “Hot Sauce,” and by listening to the pre-release, it certainly lives up to its title. Today she is a regular on the smooth jazz circuit, often performing with the likes of pianist Jeff Lorber and guitarist Jeff Golub. Check out the video I’ve selected below. This woman is a musical force to be reckoned with. Jessy J is Mexican-American. Her father is from Mexico and her mother is a native Texan. She was born in Portland, Oregon and raised in Hemet, California. A true musical prodigy, Jessy J began playing piano at age four and spent most of her childhood as a competitive artist, performing at major conferences, competitions and festivals. At the age of 15, at the Bela Bartok Festival, she won the Piano State Championship. Not only a championship pianist, Jessy J played saxophone in state honored bands, such as the Grammy Band, and played internationally in festivals like the Montreux Jazz Festival in Switzerland. Earning a scholarship to University of Southern California, she obtained a degree in jazz studies and was named the “Most Outstanding Jazz Student.” After graduating from USC, she worked in the studio with Michael Bublé. She toured with The Temptations, Jessica Simpson and Michael Bolton, who she still occasionally tours with. Even while working post-USC with so many exciting pop and Latin artists, she was putting together her own band, performing at such L.A. hotspots like The Jazz Bakery. Today, we are fortunate enough to reap the rewards of her hard work. Jam on Jessy J! We’ll sit back and enjoy! 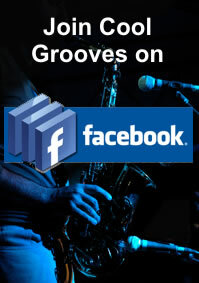 This entry was posted in Artists and tagged contemporary jazz, Jessy J, smooth jazz. Bookmark the permalink.